We share the hope we have in Jesus Christ with others. In Hitchin we offer Alpha for those who want to find out more about Jesus. Overseas we partner and support others who we know personally who are doing this in their locality. Ben and Emma live with their three children in Cairo. We support them as they carry out their jobs and live out their lives in their community. “Always be prepared to give an answer to everyone who asks you to give the reason for the hope that you have. But do this with gentleness and respect”. 1 Peter 3:15. Ben grew up in Christchurch. We support Pastor Jan and his large church in Manila, in the Philippines (Good News Baptist Church). We offer prayer and some financial support towards small projects, and sponsor many children through Compassion. Pastor Jan was sponsored as a child by a Christchurch member. 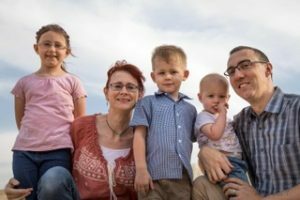 We are mission partners with Stephen, Jane and their family. From a base in the UK, Stephen provides support and advice to persecuted Christians in the Middle East.